Engineered for packing convenience. Downsize your full size toiletry bottles to easy-to-pack, carry-on size containers. 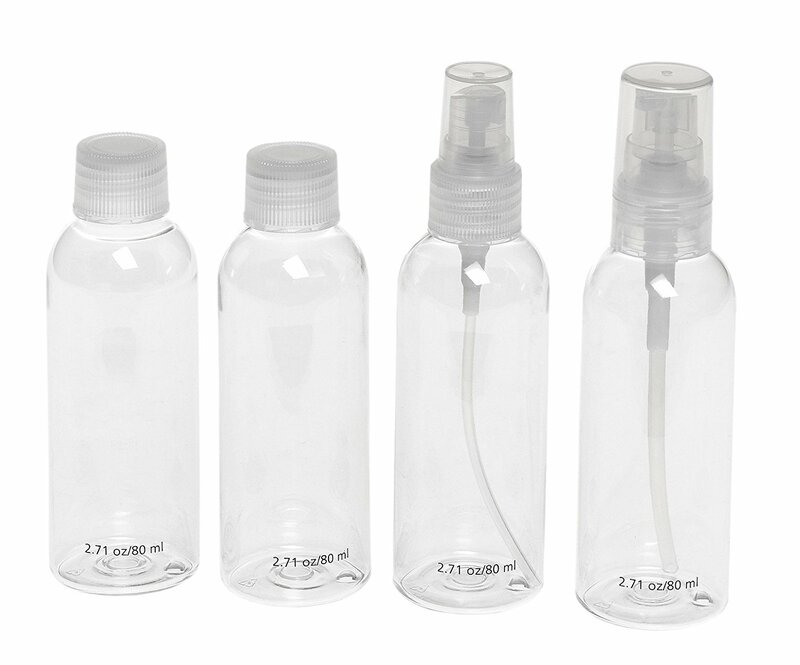 Four 80ml bottles meet UK Government carry-on guidelines. 2 x Twist-off, pump spray tops and 2 x screw top. Rugged PET construction resists denting and rinses clean. 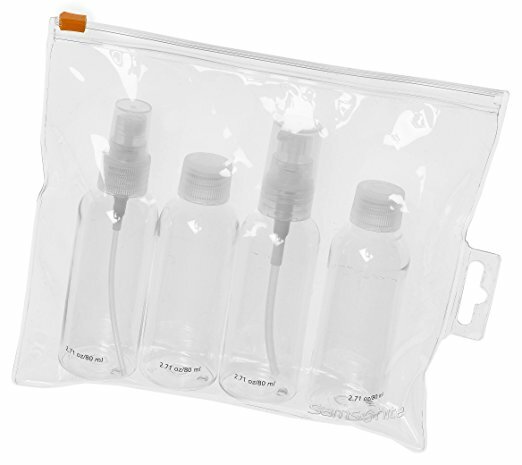 The 4 Bottles neatly fit into a clear re-uable zip wallet which again conforms to sizing regulations.